Some, myself included, say it [= Studies on the radiocarbon sample from the shroud of Turin by Raymond N. Rogers] should never have been published. Unsentimental, certainly, but science has to be ruthlessly unsentimental, or it would quickly cease to be science. The same standards should apply to any paper submitted for publication, regardless of what the journal’s referees and editors might know about the paper’s authors, which in the case of Thermochimica Acta would have been a great deal (since according to his wiki entry Rogers was both a founder and long-term editor of the journal). There may be a lesson in how writing for clarity in this. One might mistakenly think Rogers was the long-term editor when the paper was submitted in April of 2004, One might even think he was still editor, when after months of peer review, the paper was accepted in September of 2004 and finally published in 2005. Here is a paragraph from Wikipedia article Colin cites (it would not have been too much to include it or at least include the last sentence). During his career Rogers published over forty peer-reviewed papers on chemistry. In 1981 he was named Laboratory Fellow at Los Alamos National Laboratory. Other honors included being named a Tour Speaker for the American Chemical Society in 1971, the Los Alamos National Laboratory, Distinguished Performance Award in 1984 and the Department of the Air Force Exceptional Civilian Service Medal in 1991. He also served as the editor for Energetic Materials, a peer-reviewed scientific journal from 1983-1988. 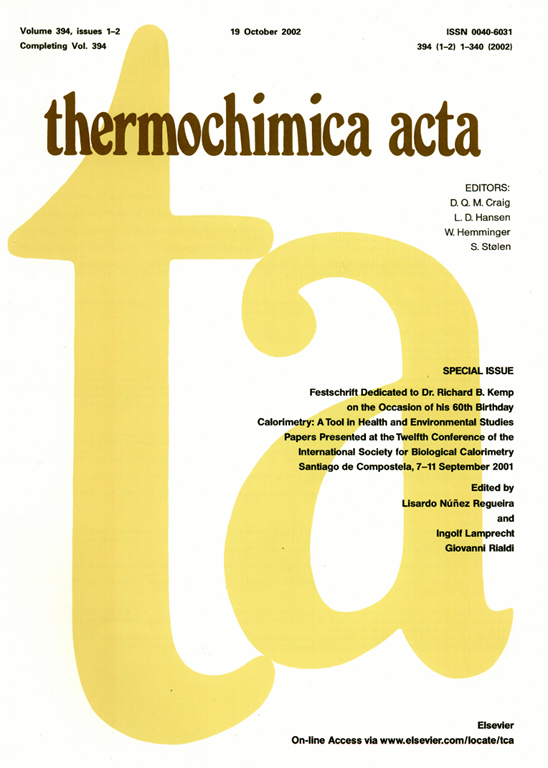 He was also on the editorial board of Thermochimica Acta from the first issue of this journal in 1970 (also the very first paper published in the first issue of this journal is authored by him) until his retirement in 1988. He had not served on the editorial board since 1988. That was how many years before he submitted the article. And I don’t see where he was the long-term editor. Where did that come from? In late 2010 the scientific journal Radiocarbon published a paper entitled “Investigating a Dated Piece of the Shroud of Turin” by Prof Timothy Jull of the University of Arizona and Rachel Freer-Waters. In this paper they described how they had microscopically examined a sample cut from the Shroud of Turin and found no evidence for any contamination, particularly in the form of coatings or dyeing, in the material of the sample. 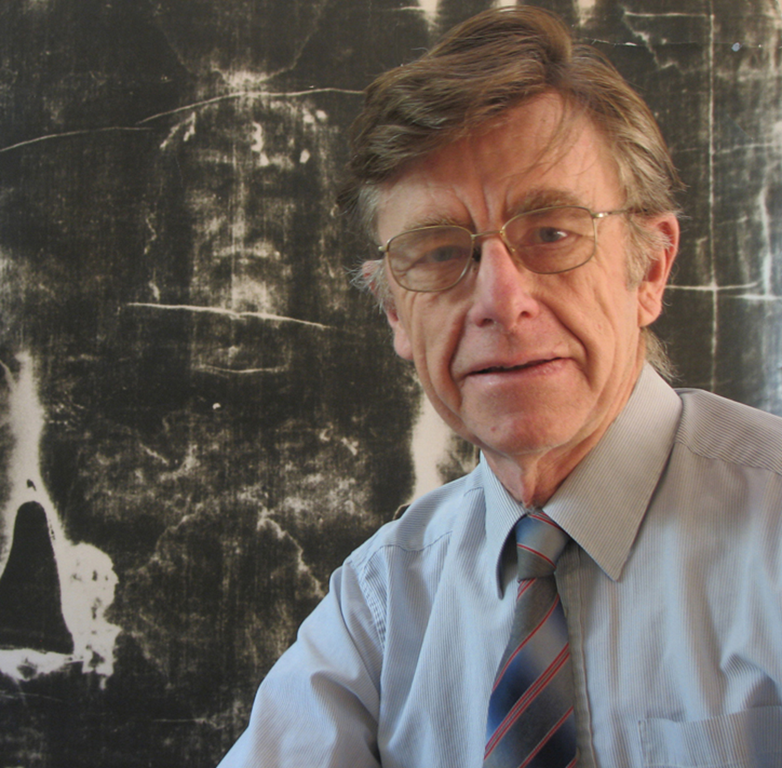 They concluded that they could find no reason to dispute the original carbon-14 measurements which, in 1988, had shown the Shroud to be dated between 1260 and 1390. Radiocarbon is peer-reviewed. Jull was editor of the journal when his article was published. One must wonder, did he pick the peers? Did he review and respond to the peers as the author of his paper or as the editor of the journal? I had raised these questions. I was not concerned about Rogers when I wrote this because he was no longer on the editorial review board; it had been several years. But Jull, in my mind, was a different issue. It isn’t the first time that an Editor is co-author of a paper submitted to its own journal. And usually the (formal) problem is easily solved by a blind review procedure. As an example, I faced a similar spot when I submitted two papers for publication in the Proceeding volume of IWSAI (International Workshop on the Scientific approach to the Acheiropoietos images). I was co-author of two papers and at the same time editor of the Proceedings and responsible for the choice of the Referees. I solved this problem asking to a colleague to manage the review procedure: select the Referees, receive from each Referee the anonymous review, and send me the same reviews. She received my reply and the corrected paper and she sent it to the Referees for the final response. In summary, there are simple rules to avoid a conflict of interest. It is likely Jull followed the same method. A friend of mine, a chemist with a major corporation, also corrected me. In specialized fields, he explained, recognized experts are often called upon to serve as editors or on editorial committees of journals for which there are few or no competitive journals. Scientists picked for editorship and committees are among the best in their fields. Thus they are the same people most likely to publish often. And publish they do and they do so in “their” journals. It would be ridiculous and unscientific to deny them the opportunity to do so or to force them to publish in lesser journals. Check it out. The best scientists serve the best journals and they do ethically. They are in those positions because in addition to being talented they are trusted. The criticism, mine at the time, is without merit. I learned from this. I hope that Colin reevaluates his position. He is widely published as a chemist and he may want to check with some publications with which he is familiar. This would be a valuable contribution to everyone’s understanding of the peer review process. IN CASE YOU MISSED IT… In 2012 an international Shroud Congress was held in Valencia, Spain and many excellent papers were presented by noted Shroud scholars from around the world, including Emanuela Marinelli, Bruno Barberis, Ian Wilson, Paolo Di Lazzaro, Mark Guscin, César Barta Gil, Robert Villarreal and many more. More than a dozen of the papers are available on Shroud.com in both English and Spanish language versions and are well worth your time. This extremely successful conference was organized and sponsored by the highly respected Centro Español de Sindonologia (CES), which is also celebrating its 25th Anniversary this year. With a host of speakers from around the world presenting papers on a wide array of Shroud related topics, the public event attracted a large volume of attendees who filled the beautiful auditorium at the University of Valencia every day. Speakers included noted members of the CES like President Jorge Manuel Rodriguez, Dr. Alfonso Munoz-Cobo, César Barta, Fr. Manuel Carreira, Mark Guscin and many more, as well as Bruno Barberis, Emanuela Marinelli, Marzia Boi, and Paolo di Lazzaro from Italy, John and Rebecca Jackson, Robert Villarreal and Barrie Schwortz from the U.S., Ian Wilson from Australia and David Rolfe from the UK.. Below you will find a complete chronological listing of the speakers and their topics. We have also included links to some of the excellent papers that were presented and hope to add more in the future. In some cases, we have included the actual PowerPoint presentations shown by the speakers so you can see the images that went with the text of their papers. It is really worth your time to browse through this page if you missed it before. Or maybe like me, you just want to be reminded of what’s there. Mainly for reasons of time management I have to confess that rarely if ever do I look at the various Shroud ‘blogs’ on the Internet, let alone get involved in any chat rooms. However a few weeks ago my fellow Australian Stephen Jones kindly drew my attention to an article by Max Patrick Hamon that had appeared on the Dan Porter ‘Shroud Story’ website. The article in question can be accessed at https://shroudstory.com/2013/10/20/an-intriguing-9th-century-image-suggestive-of-the-shroud-a-guest-posting-by-max-patrick-hamon/. [link corrected]. In chapter 11 of my most recent (2010) book on the Shroud I discussed the likelihood that it was our Shroud, temporarily brought to Jerusalem after an earthquake had devastated Edessa’s Hagia Sophia cathedral on Easter Sunday 679, which received the ‘trial by fire’ on a sudarium of Jesus ordered at around that time by the Muslim Caliph Mu’awiyah, as described by direct eyewitness French bishop Arculf to Abbot Adamnan of Iona. So given that our Shroud had been viewed at full length by at least one western observer at the end of the seventh century, for there to appear in a manuscript of the early ninth century an image distantly based on that experience, even though not exactly headlinegrabbing, is not totally beyond the bounds of possibility. And as immediately becomes evident, exaggerated or caricaturelike hands are effectively a very common motif for this particular monk illuminator. Even on the very next folio, illustrating the 21st verse of the same Psalm 34/35* (below), there appears a similar example, and there are plenty more to be found elsewhere. 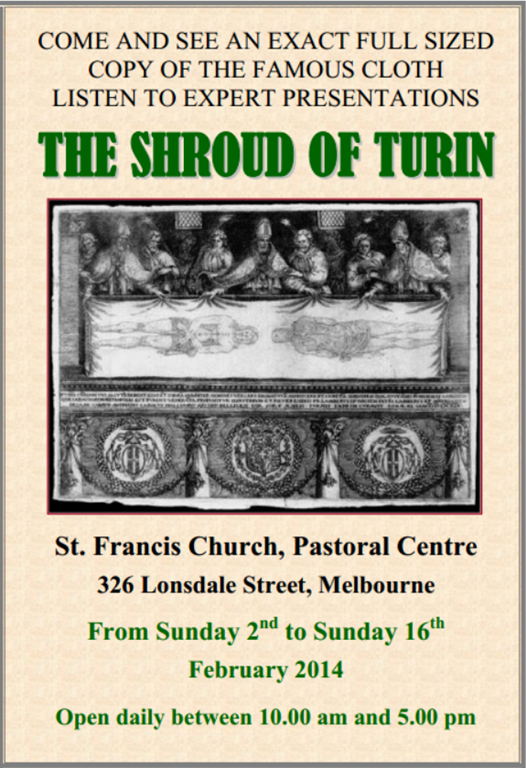 How Safe is The Shroud of Turin? 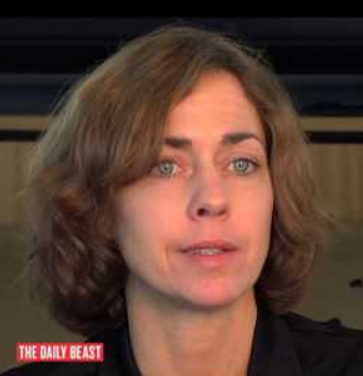 Barbie Latza Nadeau (pictured), the Rome bureau chief for The Daily Beast, yesterday penned an article for news journal entitled, Who Stole John Paul’s Blood And Christ’s Foreskin? The theft of John Paul II’s blood from a church in Abruzzo has been the worst case of relic theft since Jesus’s prepuce disappeared from Rome in 1983. Of far greater importance: Nadeau’s short article makes me wonder about how safe the shroud is, not just from theft but from terrorist attack? A reader tipped me off to this. There is a re-issued special edition LIFE book in paperback on retail shelves in drugstores, groceries and stores like Walmart. It is called "Jesus…Who do you say I Am". There is a brief mention of the shroud on Page 7 which has a small negative image of the face of the man in the shroud against a full page of Leonardo’s beardless painting of Jesus" head of Christ". So far it’s respectful and informative with very nice pictures, certainly recommend. Regard. LIFE Books managing editor, Robert Sullivan, has twice been awarded the Wilbur Award for best religion feature in a national magazine and has authored LIFE’s New York Times best-selling biography of Pope John Paul II. He brings to this book his expertise on the subject of Christianity a long with text informed by the world’s great scholars, theologians and religious figures. 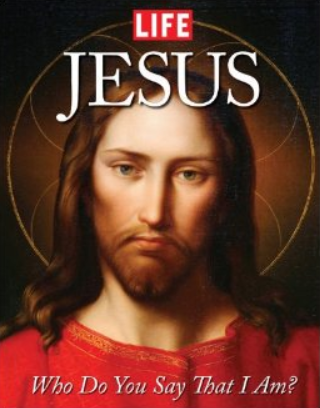 Jesus emerged from nowhere to become, in his short life-perhaps as few as 32 years-a thinker, teacher and preacher whose words and deeds would change the world and become the foundation for the world’s largest religion. But the biography as outlined in the New Testament and apocryphal writings only tells us so much. LIFE’s editors go, in words and pictures, in search of Jesus of Nazareth, the carpenter’s son who would one day influence all. The great photographer Denis Waugh once made a thorough, colorful and moving pictorial pilgrimage to the Holy Land exclusively for LIFE, and those images will anchor our quest. We will travel, as well, to the Vatican, to the missions of Africa, to the Glide Memorial Church in San Francisco-to all that has risen in Jesus, name. In the book’s final section, we will look at Christianity today: Its still vastly influential place in our tumultuous world. 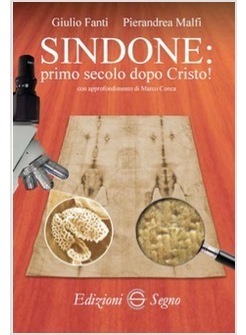 A new book by Giulio Fanti and Pierandrea Malfi, Sindone: Primo Secolo Dopo Cristo, is now available from Italian booksellers Libreria Cattolica and Edizioni Segno. Description of "SHROUD: the FIRST CENTURY AFTER CHRIST!" After the radiocarbon test of 1988, the scientists responsible were photographed with the date written on the Blackboard . . . followed by an exclamation point; now, the exclamation point must be reported to a date in the first century after Christ. Among the most interesting news is not only that new methods of mechanical and chemical, dating the Shroud is compatible with the period in which Jesus of Nazareth lived in Palestine, but who was also a model for numismatic Byzantine iconography from 692 ad who carved the coins in those years had just seven chances on a billion billion coin that particular face of Christ without having seen the image on the shroud. Scientific studies on the Relic to date fail to provide conclusive answers both on the identity of the Man who was wrapped up, both on the dynamics of formation of image imprinted thereon. The human science must admit its limitations, but studies continue to dispel erroneous conclusions and absurd assumptions. The book not only addresses these issues in a scientific way and objective as possible, but within everyone’s reach, leading the reader through new research paths. While I congratulate the authors on publishing the book, I wonder if anything has happened to independently verify these methods since we discussed them in Paper Chase: Giulio Fanti’s New Flax Fiber Dating Machine. Ian Wilson (1941 – ) is a prolific, internationally published author specializing in historical and religious mysteries. He graduated in Modern History at Magdalen College, Oxford, England, in 1963 and studied art at Oxford’s Ruskin School of Art during the same period. He continually and enthusiastically conducts wide-ranging research projects, both at home and around the world, often giving exciting, tantalizing talks, pushing the edges and boundaries of a subject. 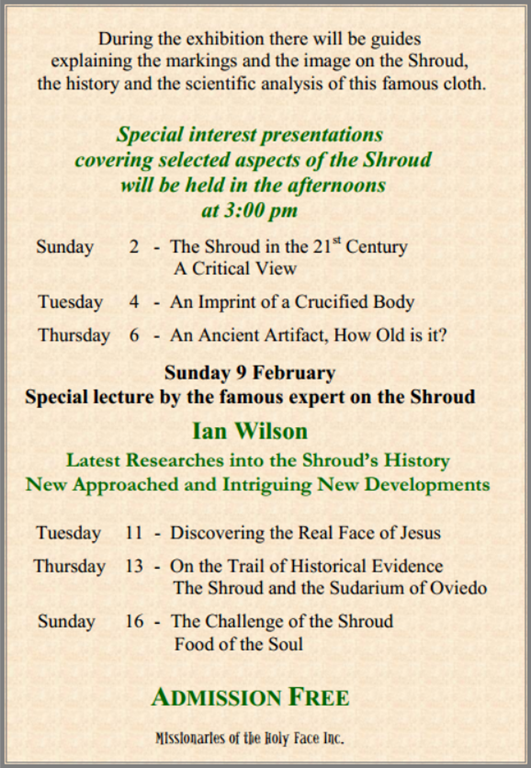 On 9th February at 3pm at Melbourne, all interested parties are invited to hear Ian Wilson present a lecture Latest Researches into the Shroud’s History – New Approached and Intriguing New Developments. He is sure to create a few waves, because he will be talking about The Shroud of Turin, which is one of the most controversial subjects and most studied artifacts in history.